Science is simply fascinating It helps us learn about the world around us. Did you know there are sounds animals can hear that people cant? Or that right now, we are speeding through space? 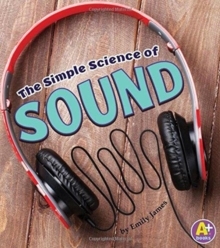 In these pages youll learn all about sound, motion, and more. CRASH, BARK, BOOM Sound is all around us. But what is it? How does sound work? Readers will learn the answers to these questions and more through easy-to-read text and vivid photographs. An experiment rounds out the book and provides a hands-on learning experience to encourage deeper understanding.